This is a slide show (thumbnails and larger versions) of pictures of the Christmas lights and decorations in central Edinburgh over the Festive season in 2012. Note that once you are viewing the larger images you can move to the next or previous image using the navigation controls instead of having to return to the thumbnail index. 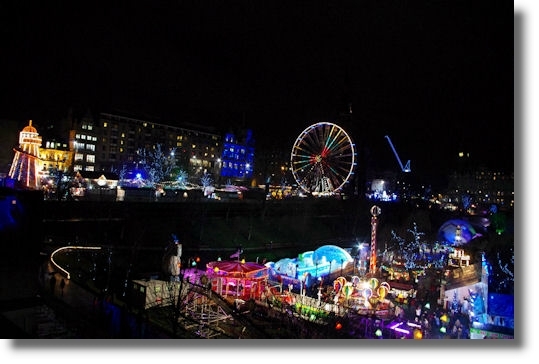 There are also some video sequences of the Edinburgh Christmas scene at Youtube - Edinburgh Christmas Lights.